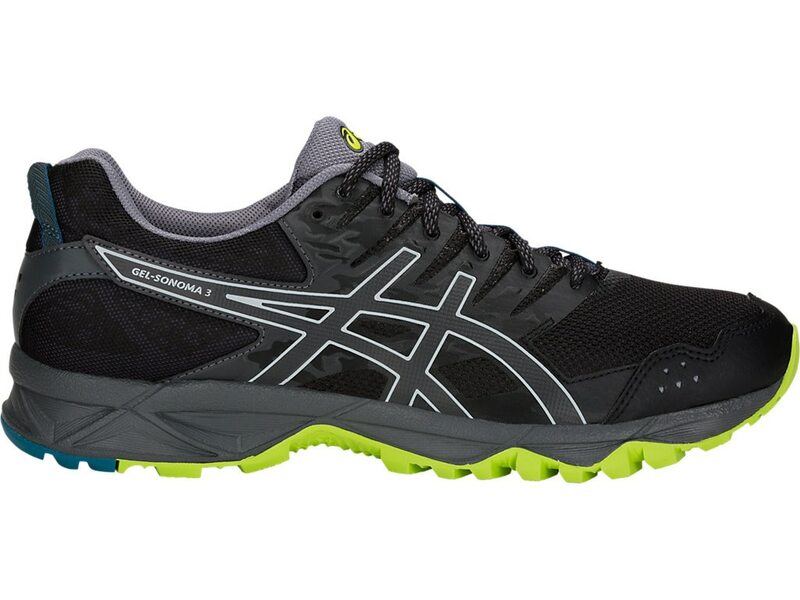 Explore the great outdoors in the up-for-anything GEL-SONOMA 3 trail runner. A trail-specific outsole teams up with a injection EVA Midsole and shock absorbent GEL cushioning to deliver stability, traction and comfort as you navigate the rugged terrain. Reversed lugs provide uphill and downhill traction on various types of terrain.